How can I get a job teaching English online? Money: How much can I make? Answers commonly include traveling the world, especially at your own leisure, with flexible hours, and ideally an extended (ideally unlimited) amount of time. What if we told you this lifestyle was achievable? Teaching English abroad has provided countless opportunities to live and work abroad for many years, but up until this very moment, the thought of teaching English online may have never crossed your mind - and why would it? It's a new profession. The demand for online education has taken the field by storm and erupted in popularity in recent years across the globe. A flexible lifestyle and the ability to be your own boss while teaching English & traveling the world - what's not to love? Teaching English online is an industry experiencing rapid growth in demand, and it has the potential to long-term employment stability, whether it be a part-time or full-time basis. You get to meet and interact with people from all over the world, and you have the opportunity to build relationships with your students and teach them the skill of English to set them up for a successful future. You have the chance to teach both children and adults from countries you may never visit, but who knows, maybe with your newfound lifestyle, you can add it to the top of your bucket list! Get TEFL certified: International TEFL Academy offers a part-time Online TEFL class and full-time In-Person TEFL classes in 25 locations globally. Learn more about ITA's TEFL classes and get your free brochure here. What is teaching English online & is there a market for it? In short, teaching English online is teaching English as a foreign language to a non-native English speaker over the Internet through the use of a computer and a webcam. Students can learn one-on-one or in a small group and the cost is usually cheaper compared to an in-person, face-to-face class. Both students and teachers are able to set their own times and schedules and the teacher can teach from whatever location is convenient to them. Online learning is a huge business and here to stay – from world class universities to Fortune 500 companies, computer, mobile, and Internet-based training has become an integral part of nearly all fields of education, including language instruction, and Teaching English as a Foreign Language (TEFL). Combining the fact that there are more than 1 billion people learning English worldwide with massive increased access to the Internet, online English instruction is one of the fastest growing sectors of international education. In recent years, opportunities for teaching English online to speakers of other languages from across the globe have grown exponentially and show no signs of slowing down – it is definitely a booming industry! What qualifications are needed to teach English online? If you are TEFL certified and a fluent English speaker then you can teach English online! Most companies will also require that you have a Bachelor’s degree, although this fluctuates from company to company. Other traits that are often sought after include being personable and having great presentation skills. If you don't have an accredited TEFL certification, then this is your first step. International TEFL Academy offers an Online TEFL class, hybrid, and In-Person classes in 25 locations globally. Learn more about ITA's TEFL classes and get your free brochure here. It is extremely common for someone already teaching English abroad at a language school to teach English online to boost their income. Many teachers also take advantage of teaching English online after returning home from being abroad. Finally, there are those who make teaching English online their full-time job no matter where in the world they are. This flexibility provides a fantastic way to support yourself while traveling the world and living abroad. [Read More]: What are the Basic Requirements for Teaching English Online? Work as few or as many hours as you please – you set your own schedule! Use your TEFL certification to make a positive impact on people’s lives and to make some money at the same time. How do I teach English to non-native speakers if I don’t speak another language? Language classes are typically taught entirely in English. For example, imagine you're teaching a group of students from South Korea. Even if you were completely fluent in Korean, you would still be teaching the class 100% in English. The students will have some level of English language proficiency. The class is run by a fluent English speaker 100% in English the entire time, so that's why you are in such high demand teaching students from all over the world. The online students want to learn from a real native English-speaker and be able to mimic your accent and dialect and pick up on exactly how you speak. Read more here. Why do these students want online English lessons instead of in-person classes at a language school? There are several reasons students are turning to online English classes over a traditional classroom approach. Flexibility: In-person classes at a language school often require you to be in attendance on a set day and time. If you can’t make that time slot, then you miss the class. If you're a student, online English classes allow you to pick the time you would like your lesson, and if you're a teacher, you get to set your own hours. This is especially beneficial for adult students that are already working part or full-time jobs. a. One-on-one or Private Sessions: These will involve just you (the teacher) and only one student. b. Small Groups: Anywhere from 2-6 students at a single time. Just like traditional classroom teachings, students can range from young children right through to adults. Most online English teaching companies will specify whether their clients are students, adults, or business professionals (and may even cater to all three), and then you will find that some companies are specific to just a single demographic. 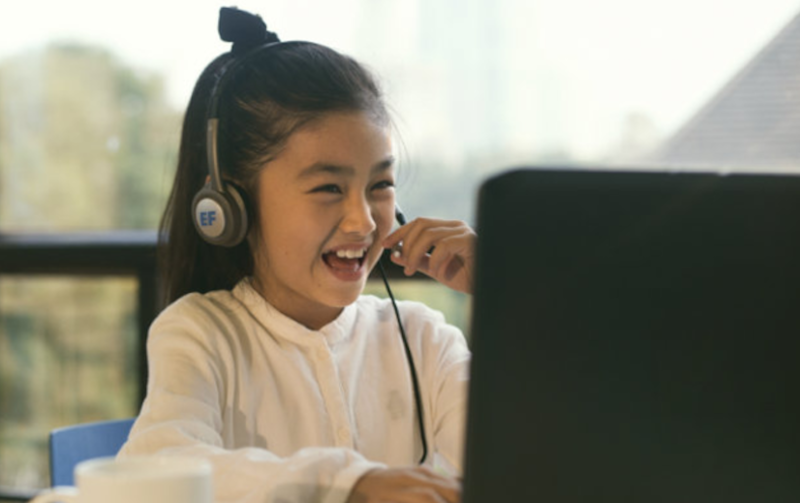 For example, VIPKID and DaDa only provide a learning experience for Chinese children ages 4-12, whereas English First conduct group and private lessons to adult learners, while Learnlight focuses on business professionals that work for specific organizations. e. Trial English lessons: this will allow you to get to know your students a little before committing to any future classes. Often provided free of charge or at a discounted rate. How many hours do I have to spend teaching English online? The beauty of teaching English online is that the hours you work and the schedule you set is completely up to you. While some online teaching companies may require you to teach a specific number of work hours, you can usually choose from teaching a few hours per week to 20 hours, or even turn this into a full-time career with 40+ hours. Apart from hours, it's common for companies to contract you for a particular period of time. 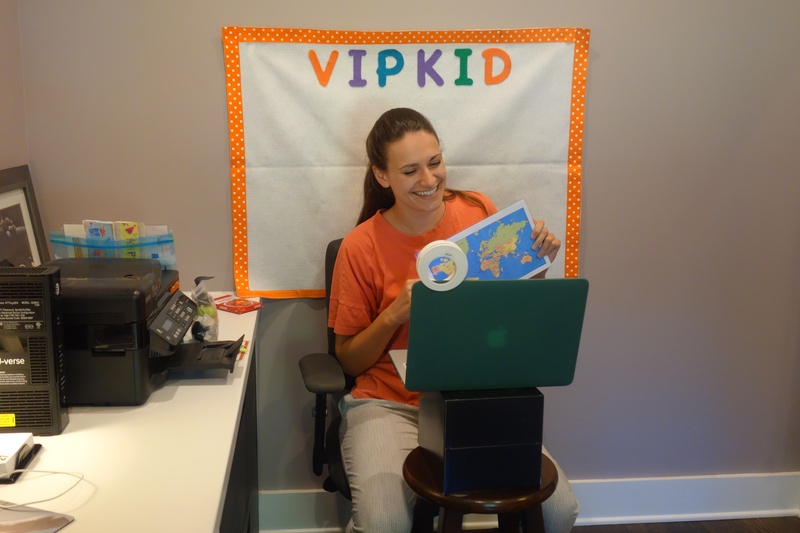 For example, VIPKid requires a 6-month minimum contract commitment from all applicants with room for renewal. View our Teach English Online Employer Comparison Chart to compare minimum hourly requirements across several different online ESL schools. Some online English teaching companies provide a flat-rate of payment per hour, while other platforms allow you to set your own hourly rate. Generally speaking, online English teachers typically make anywhere between $10 - $40 USD per hour depending on their level of qualifications and instruction provided in the lesson. 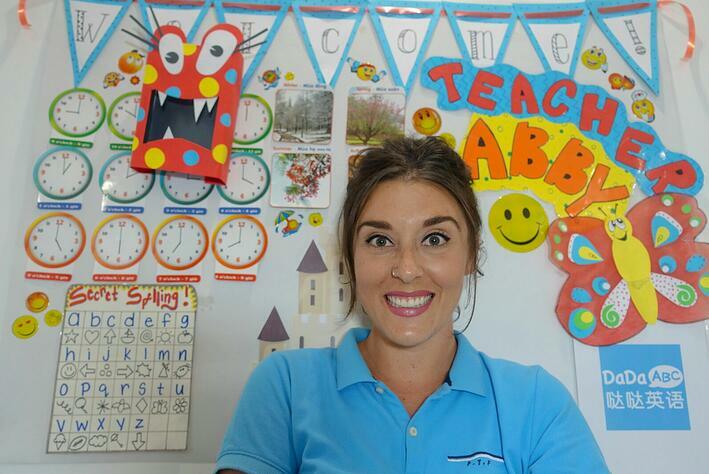 If you are a first-time English teacher, you will likely be making $10-$20 to start (if you are a fluent English speaker with a TEFL certification). If you choose to work for an agency that finds/recruits and schedules work for you, then that agency may take a cut of your hourly wage as a finder’s fee for their role in getting you the job. Please research all agencies diligently and steer clear of any companies asking for up-front payments of any sort. If you choose to travel the world and support yourself via teaching English online, you can make a very comfortable living for yourself by earning U.S. dollars in countries that have a cheaper cost of living. 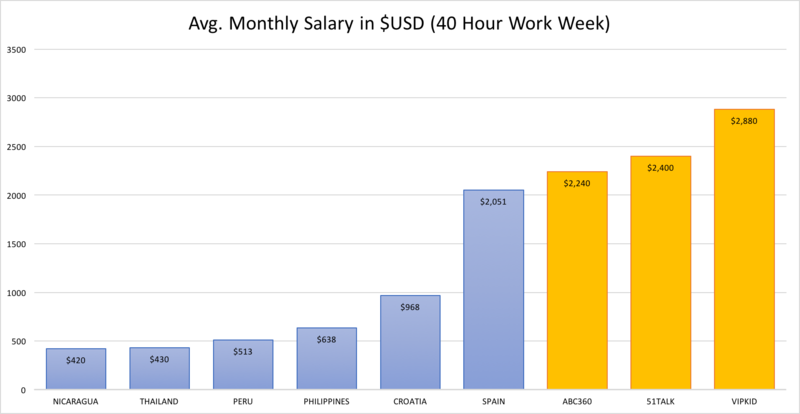 To help break this down, let’s take a look at the average monthly salary (in US Dollars, $USD) for a 40-hour work week in Nicaragua, Thailand, Peru, the Philippines, Croatia, and Spain, versus the average monthly salary (in $USD) for a 40-hour work week teaching English online with ABC360, 51Talk and VIPKid. View our Teach English Online Employer Comparison Chart to compare hourly rates of pay in $USD across several different online ESL schools. 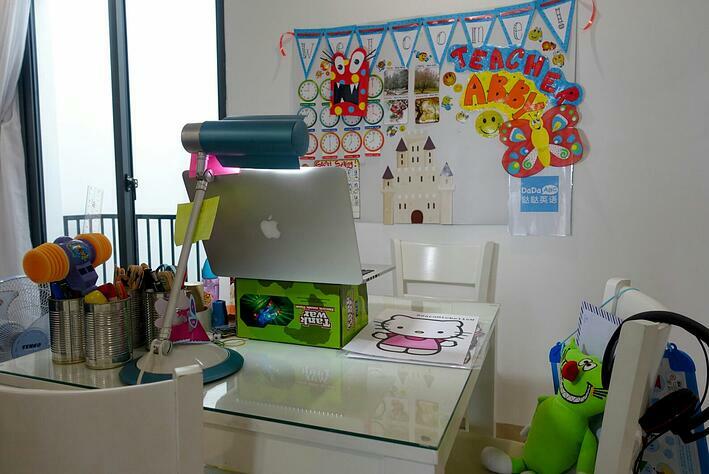 Read More: How Much Money Can I Make Teaching English Online? Do I need to pay taxes on the money I make from teaching English online? Many online English teaching jobs categorize you as either an independent contractor or self-employed. This means it's your responsibility to report your earnings as a self-employed income. This process will differ based on your country of citizenship or the country you are teaching English online from. PayPal will send Form 1099-K to you and the IRS for that year for taxation filing purposes. One benefit of online teaching (if you pay your taxes) is that that U.S. and Canada will allow you to write off a portion of your home or apartment as a home office. You can also write off expenses like your computer/laptop, Internet, webcam, microphone, headset, teaching supplies, etc. For U.S. citizens living abroad and teaching English online from anywhere other than the USA (i.e. You are a U.S. citizen living in Japan and teaching English online from Japan), you are not expected to pay U.S. taxes on the first $80,000 that you earn each year. For more, read Will I have to Pay Taxes While Teaching English Abroad? What employers can I use to teach English online? There are so many online English teaching companies for you to consider when looking for online work. 1. 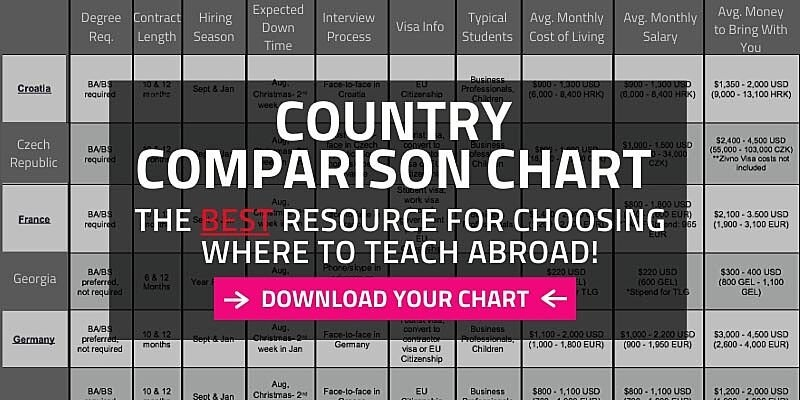 Teach English Online Employer Comparison Chart: Our Employer Comparison Chart is downloadable and makes it easy for you to compare popular online ESL schools by breaking down things like educational requirements, rates of pay, contract lengths, minimum hours, and much, much more! We update this list regularly, so it is forever growing. 2. Teach English Online Employer Index: A page that has links to over 100 online ESL schools. These are simply just links to their websites and does not provide the same amount of detail that our Employer Comparison Chart mentioned above does. What equipment do I need to teach English online? What are the best video platforms for teaching English online? For smaller, lesser-known companies, it's common that you will be using Skype to teach your English sessions. Alternative voice/video platforms include Zoom and Google Hangouts. Although not as popular, Zoom receives praise from online English teachers for having excellent sound and HD video quality, as well as a more reliable connection when compared to Skype. If you're teaching English online with the company ‘Turks Learn English,' you'll quickly become familiar with Zoom as this is the platform they use for their group lessons. 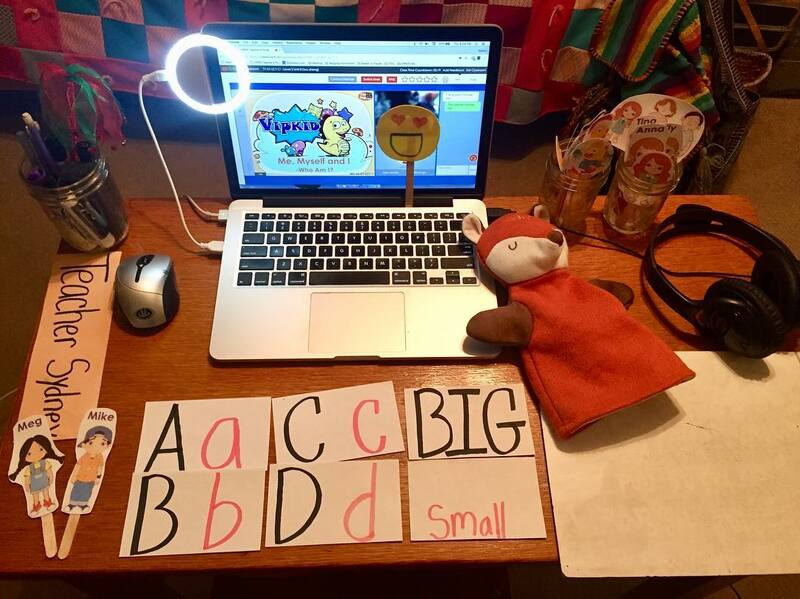 For larger, well-established companies, it's typical for them to have developed their own educational platforms to facilitate online classes – VIPKid is one of these (pictured below), and DaDa is another. What supplemental teaching tools would benefit me when teaching English online? 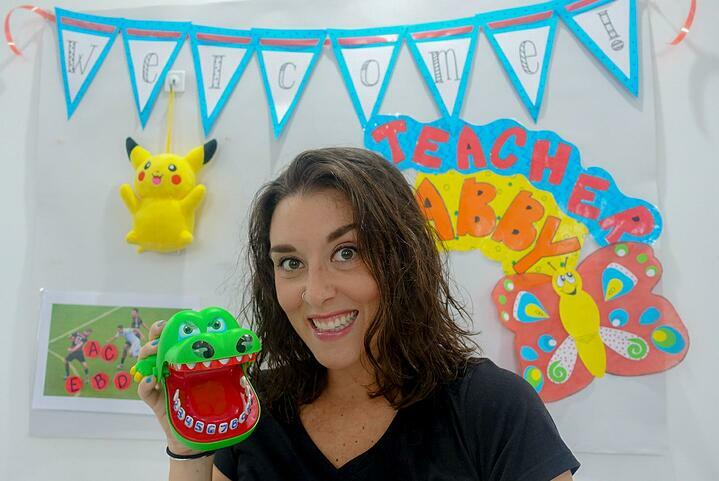 Want to Learn More about Teaching English Online? If you are excited about teaching English from either the comfort of your own home or anywhere in the world, contact us about TEFL certification options and get ready for a great adventure!